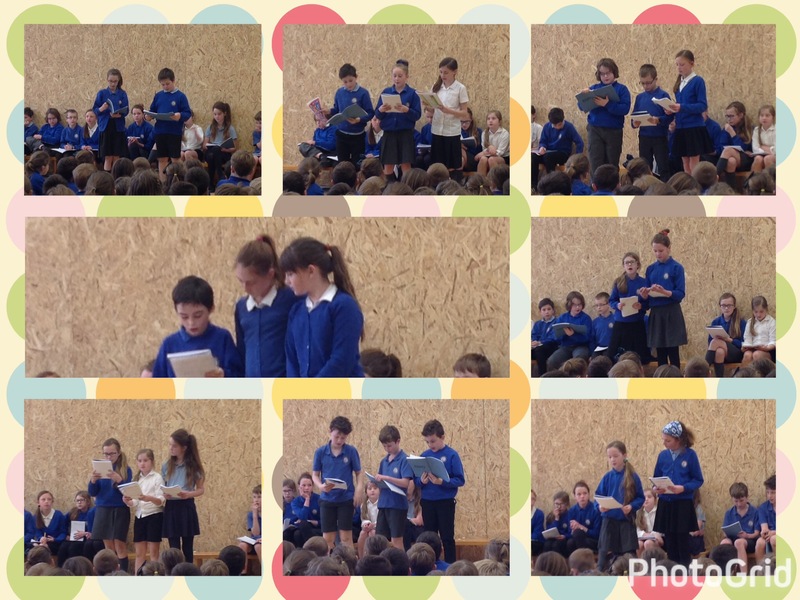 It was Year 6’s turn to lead our assembly today and they did a great job sharing some of the things they have learned and recounting their recent trip to Cambridge, particularly as our hall is a lot smaller at the moment and minus all of the whizzy audio visual equipment we are used to. 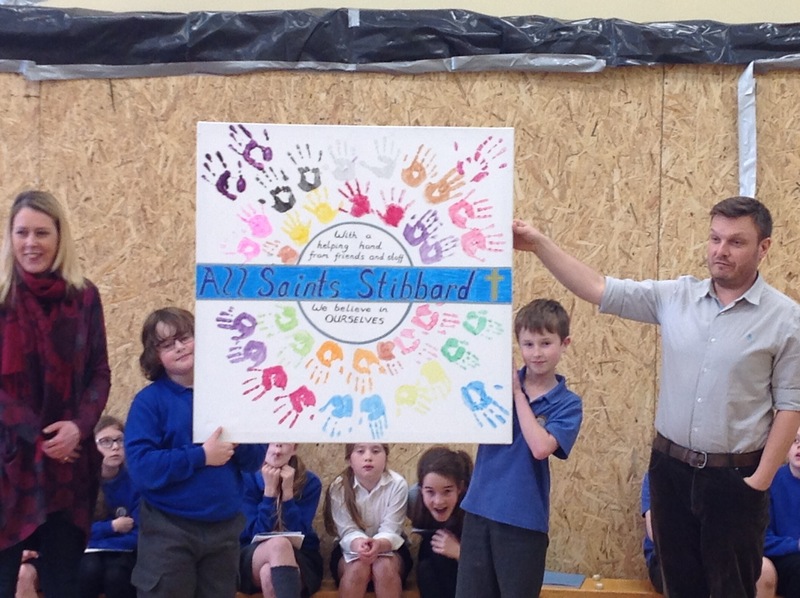 We were presented with a lovely gift created by the art club showing our school motto which will take pride of place in the hall once all of the building work is finished. 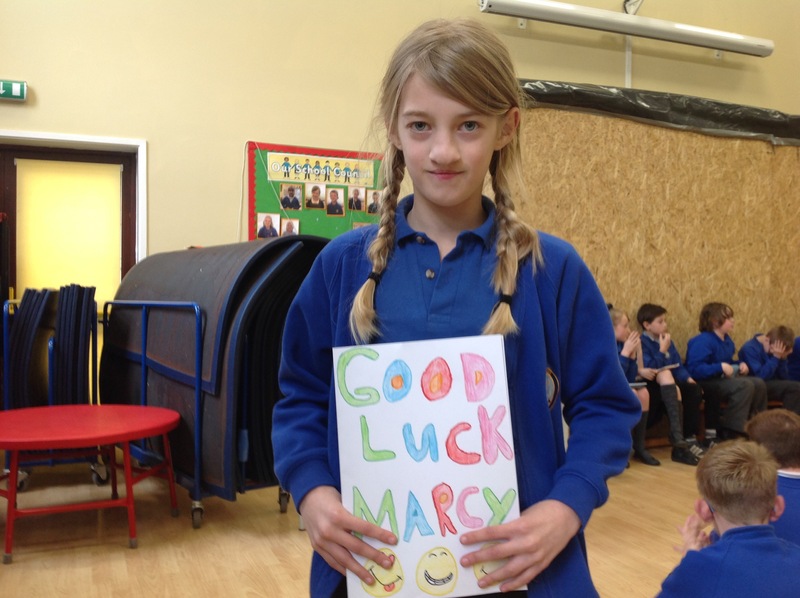 We also said farewell to Marcy who is moving to Swaffham and we wish her all the best for the future. Next Post The dinosaur adventures continue in Year 1!